IC-Gel Insta Cure Cyanoacrylate Gel comes 20-gram tubes and is a widely used super glue within the hobby. 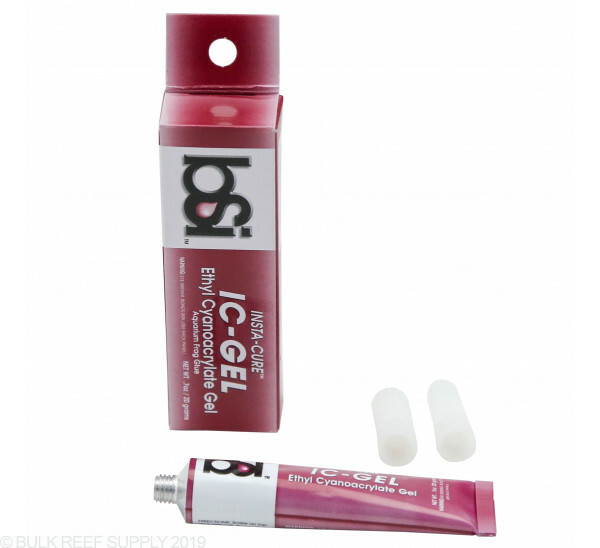 With its quick dry time, and extra thick consistency you can use the IC-Gel on vertical surfaces and it will not run. 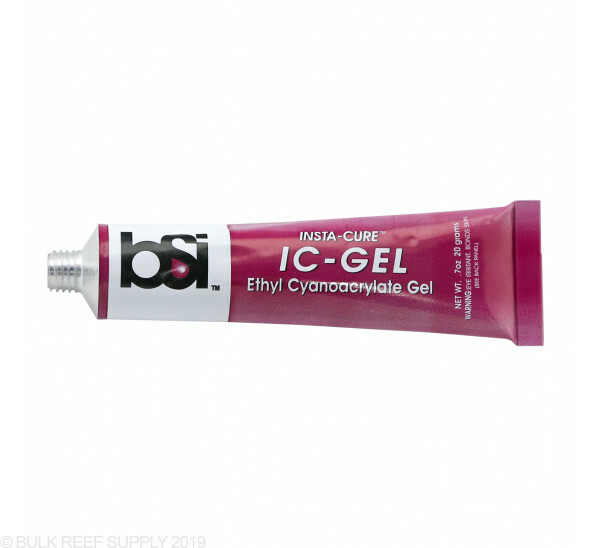 It is great for heavier frags that you need to stand vertical or heavier rock work. 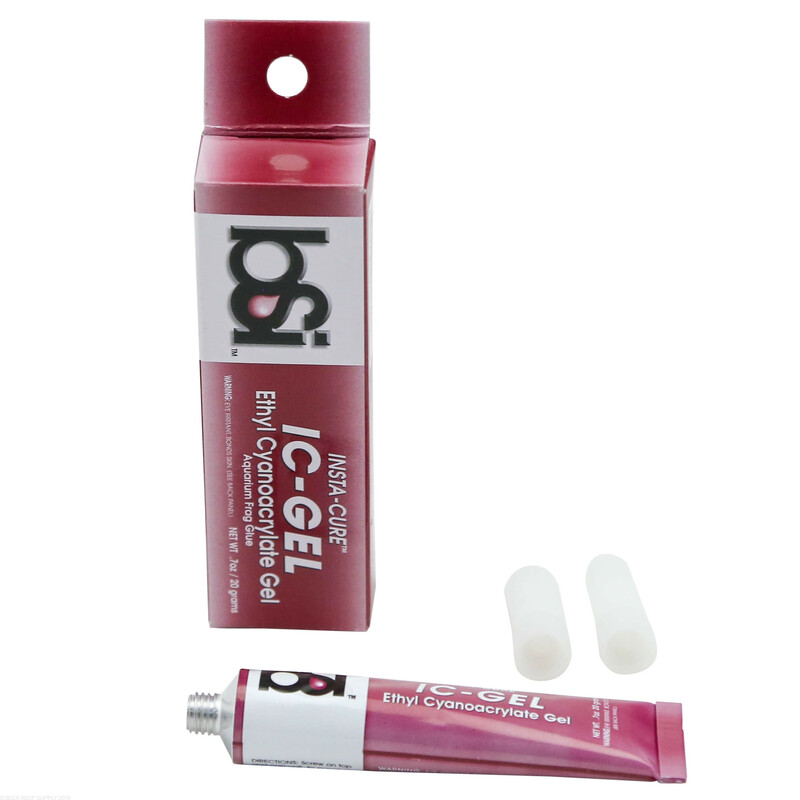 IC-Gel comes in a tube like toothpaste which makes it very easy to dispense the amount needed, and when it comes down to the last few drops you can still get it out, unlike the harder plastic bottles.